Las Vegas is a massive financial hub – one of the biggest in the world – so it’s no surprise that strong credit is a necessity. Bad credit can happen to anyone. You may have lost your job. You had a medical emergency or you made a series of bad financial decisions. Or perhaps it was a divorce that caused your financial distress. Whether it was one big event or a string of unfortunate circumstances – you need a company that does more than just send dispute letters for months (which is something you can do yourself). You need a company that does credit repair in Las Vegas with an aggressive attorney-backed process that gets results in a short amount of time. You have goals, and those goals have urgency. We understand that better than anyone. Our program was engineered to help our clients get approved for a home, which is probably one of the most financial decisions of anyone’s life. What do you hope to accomplish with Las Vegas credit repair? Getting approved for a mortgage with a good interest rate, a refinance, a new vehicle or large purchase, or maybe you just want the best interest rates available. All of these require good credit. Our mission revolves around getting your buying power back. WJA does raises credit scores differently than traditional companies. 95% of credit repair companies send generic & automated dispute letters every month and make you pay an ongoing fee (potentially for years). You could do that yourself! They DO NOT have any urgency to get results. The reason is obvious. The longer you stay in their program, the more money they make! Customization is critical in credit repair. That’s where the WJA team excels. First, you get a personal credit analyst that works with you through the entire program. Your analyst is always available to answer questions and give you updates. They coach you on adding positive credit (if needed) and guide you from start to finish. Second, our investigative research (IR) team continually analyzes the responses we receive from the credit bureaus and your creditors. The IR team crafts custom responses and demands validation by using consumer credit laws (more on that later). These legal audits are backed by our in-house attorney in our 3rd and 4th round. Audits backed by a law firm carry serious weight. That’s why we’re able to obtain deletions from credit reports where other companies cannot. Learn more about our staff. It’s worth repeating that one major advantage of choosing WJA for your Las Vegas credit repair is that we audit your creditors and DEMAND that they give us proof (validate) that they have the right to report these items to the credit bureaus. More often than not, they cannot provide the proof we ask for, so they are required, legally, to remove those items from your credit. Now you see why auditing can be more effective than disputing, and you get that benefit by working with WJA! We have an entire team of investigative researchers that construct responses to creditors based on their initial retort. You simply will not find that level of customization in other credit repair companies. How are we able to audit creditors so aggressively? Everything we do is 100% legal. There are several consumer laws in place to protect you from unfair reporting. These include the Fair Credit Reporting Act (FCRA), Fair Debt Collection Practices Act (FDCPA), Fair Credit Billing Act (FCBA), Fair and Accurate Credit Transactions Act (FACTA), and HIPPA laws. Our IR team leverages these laws and enforces them to get results for you. How quickly will I see my credit scores increase? Once we determine you’re a good fit, we’ll get started right away. The WJA Las Vegas Credit Repair program lasts a maximum of 6 months, however, clients typically start to see results in the first 30-45 days. From Day 1, we go after all the relevant negative items on your credit report. Once we receive responses from the bureaus and the creditors – we determine the best way to respond to them, and we engage our in-house law firm. Read more about our process right here. Is my credit that bad? Do I really need credit repair? 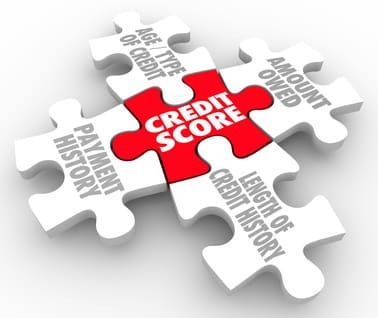 Credit scores range depending on what entity is collecting and compiling the information. The two most common are, FICO which ranges from 300 to 850. VantageScore’s also ranges from 300 to 850. In general, a bad credit score is considered to be below 700, with the technical classification of bad credit being below 620. Anything lower than 620 will seriously affect your ability to rent or buy a home, as well as buy a car. While bad credit may not necessarily prevent you from making these purchases, it will definitely make it more expensive. People with “bad credit” are considered more of a risk, and therefore must borrow at higher rates than those who “good credit” (who are considered to be less of a risk). The greatest things in life are free of cost. Speaking with one of our easy-to-talk-to credit experts won’t cost you anything. You’ll love the way we’re upfront about the results you can expect from our program based on your unique situation. If you’re not a good fit, we’ll tell you. That’s how we do business. We have to uphold our incredible word-of-mouth reputation, so we would never risk taking on a client that we don’t think we can help. But enough talk – why not reach out to us today?